Modern, stylish two bedroom apartments in Cardiff Bay with free wifi, free parking and an onsite gym and indoor swimming pool. Attractive, modern four star apartments at Century Wharf close to Mermaid Quay. 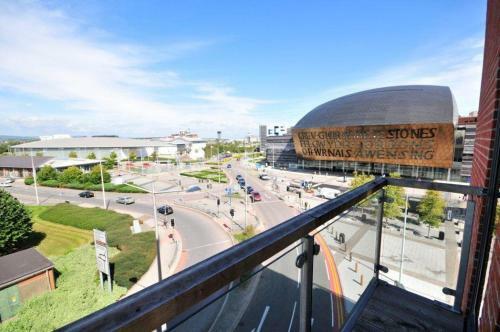 Stylish, modern four star serviced apartments opposite the Wales Millennium Centre. These attractive, smart apartments have chic decor and contemporary design throughout. The properties have fully equipped kitchens, flat screen TVs and games consoles.